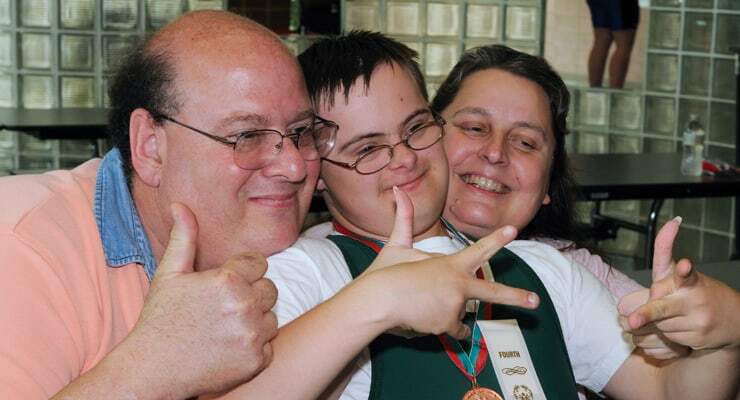 Family members are Special Olympics athletes biggest fans but they also serve in many key roles with the organization. Family members serve as coaches, volunteers, fundraisers and committee members. New to Special Olympics? Learn more about how to register a family member up to compete in Special Olympics. If you are interested in competing alongside your family member, learn more about Unified Sports. Want to attend the next state-level event? Learn about about the competitions and find directions to venues, a schedule of event and much more information. Each sport page has thorough information about the sport rules and competition opportunities to help you better understand participation. There are many resources available for individuals with intellectual disabilities and their families. Special Olympics NC has selected a small sample of the variety of resources for you to explore. All family members and guests of families are expected to abide by this code of conduct.